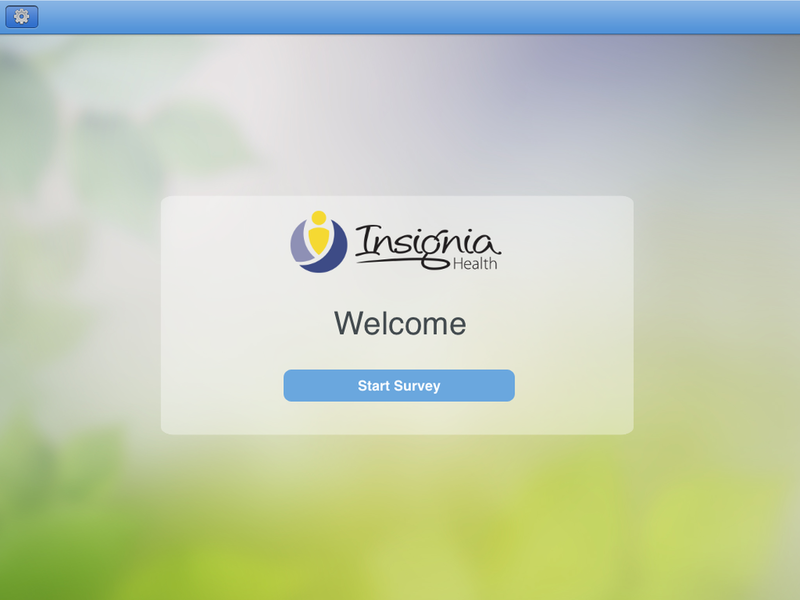 Insignia Health found that a lot of their clients were administering surveys to their patients via paper forms. 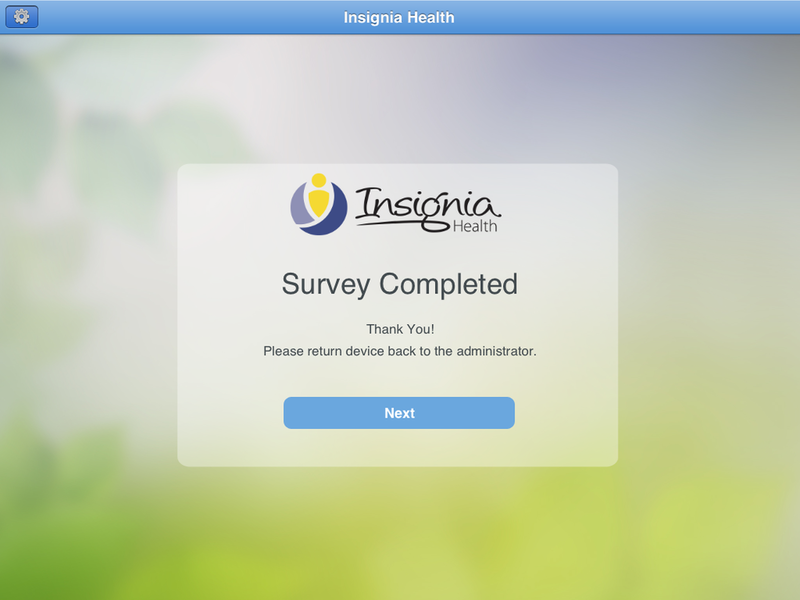 Paper forms are wonderful from the patient perspective because they are easy to fill out with no technology barriers. 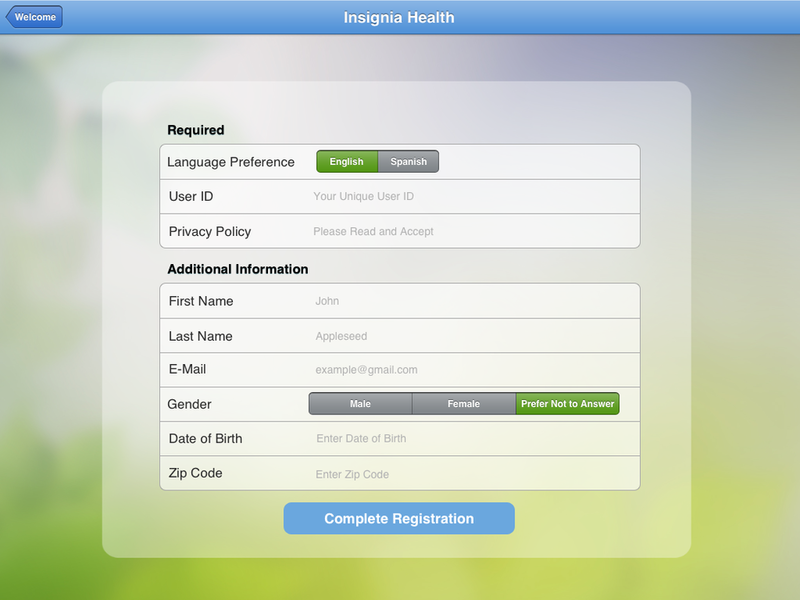 However, paper forms become an administrative burden when someone has to manually translate a paper form into a computer. 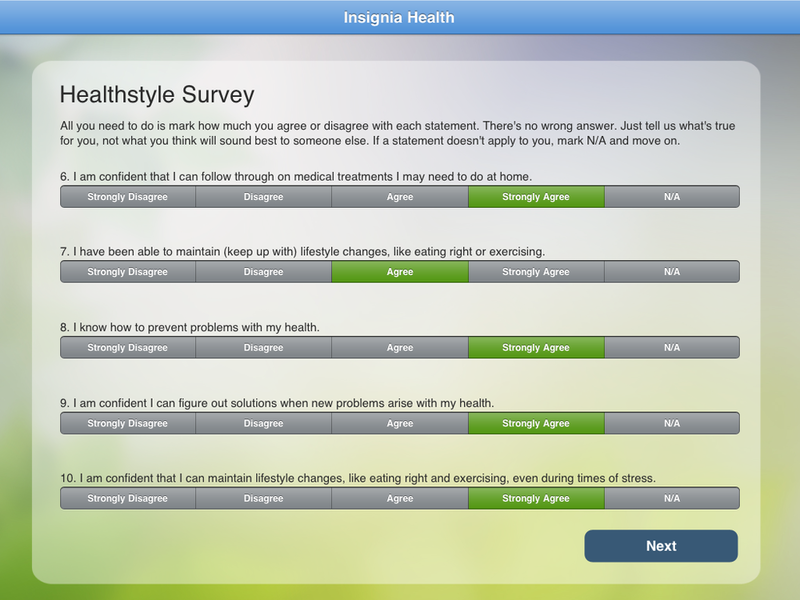 Further, with an assessment such as the Patient Activation Measure or a Health Assessment, paper processing impedes immediate scoring of the assessment which may be vital to a health intervention. 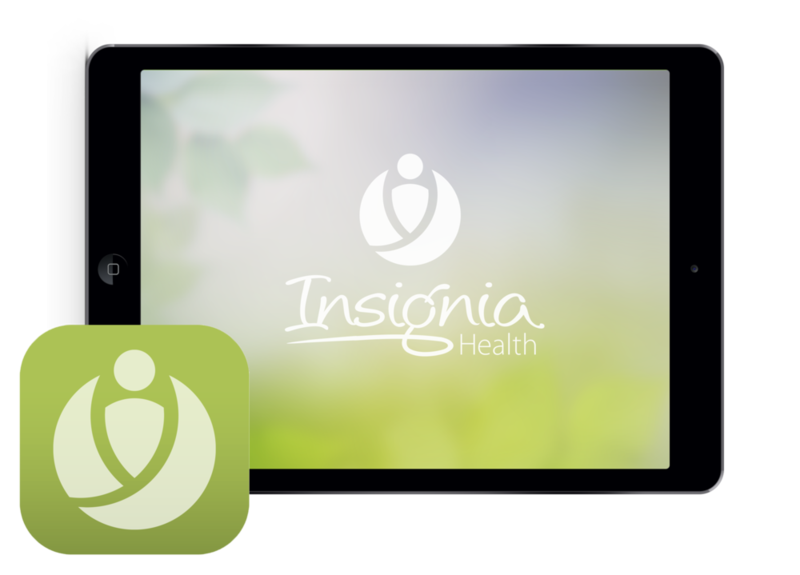 An iPad app that administers and scores the Patient Activation Measure immediately and pushes the data into the cloud for aggregate reporting of the entire population.